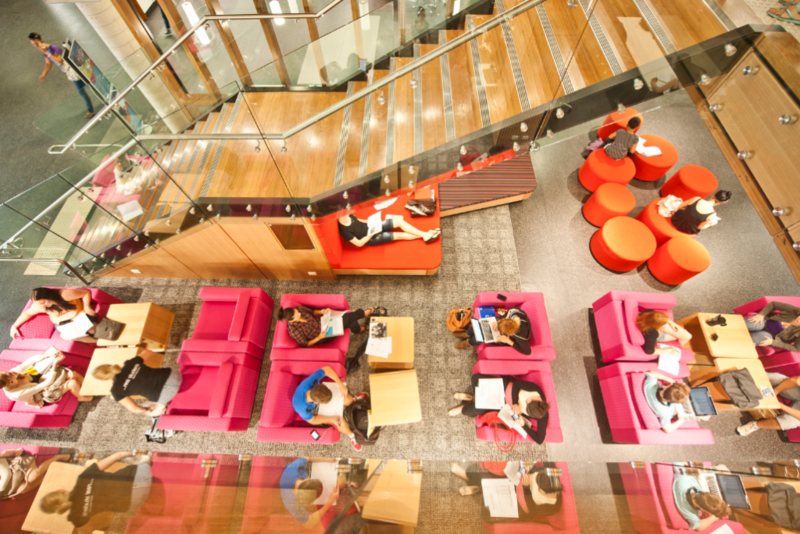 Kelvin Grove Library, Level 2. We are always sad to hear when theft occurs in the library and do you know the best thing to do to ensure this doesn’t happen to you? Keep an eye on your stuff! Don’t leave your bag, laptop, or books on tables unattended. If you need to go somewhere for lunch or even to the bathroom make sure you take your belongings with you or ask a trusted study-buddy to stay and mind your things. If you think something has been stolen you will need to report it to campus Security. They can file a report and any information you give them creates a record to help track repeat offenders and prevent future thefts. If you’ve lost something (or found something) visit the library Helpdesk and see the librarians. We hold lost property for the day before we send it over to the Student Centre for safe-keeping. You can also log an online form to report your missing item. It is always recommended to go to the Student Centre to make sure the item hasn’t been handed in there. So please keep an eye on your stuff, be vigilant – if you see something that isn’t quite right then let a staff member know. Also remember we are obliged to report unattended bags to security so take your things with you when you leave – it also frees up study spaces for other students!